China in the Balkans, "firmly in play in the coming years"
The China-led “Belt and Road Initiative” (BRI) (see box) is an extremely ambitious project. Which is the role of the so called “Balkan Silk Road” in the wider context of the BRI? Overall, Chinese activities along the emerging Balkan Silk Road are welcomed by policy makers in the region of southeast Europe. Despite visible inroads being made by Chinese companies, the countries’ main economic anchor remains – for the time being – in Europe. This anchor is by far still the region’s largest source of foreign investment, commercial trade and development assistance. 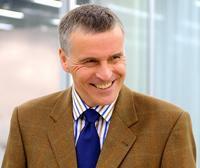 Dr. Jens Bastian is an independent economic consultant and financial sector analyst for Southeast Europe. Between 2005 and 2008, he was Chief Economist for the European Agency for Reconstruction in the Western Balkans. From 2011 – 2013, Dr. Bastian was a member of the European Commission Task Force for Greece. Based in Athens, he worked closely with Greek ministries, regulatory authorities and public institutions. Since 2014, Dr. Bastian has been working as an independent economic advisor and financial analyst. He is a regular contributor to Macropolis, a leading news analysis portal on key developments in Southeast Europe. Therefore, it is more appropriate to consider China as a complement to, rather than a substitute for the countries’ European partners. China’s Balkan Silk Road Initiative is an additional source of funding and infrastructure modernization in the region. But it is not yet an institutional replacement or a new economic point of reference for any of the countries in the region. However, China is in the process of systematically building reputational capital through the Balkan Silk Road to match its existing funding capacity alongside the Belt and Road Initiative (BRI). In short, the Balkan Silk Road serves as a testing ground for the BRI in Europe. First impressions suggest that this work in progress is advancing at a fast pace and with substantial results on the ground. The transformative potential of the BRI along the Balkan Silk Road is taking shape. Trade by destination and origin will continue to shift towards China among countries in Southeast Europe. Meanwhile, the region will further diversify its sources of capital, i.e. through Chinese lending and increasing equity investments. One of the major drivers of this process in the coming years will be increasing numbers of tourists arriving from China and traveling through southeast Europe. Which are the priorities and tools of the growing Chinese presence in South-eastern Europe (SEE)? China is rather a newcomer to the region of southeast Europe. Compared to other countries and multilateral institutions – such as Russia, the European Commission or the EBRD – China is starting almost 30 years after the Fall of the Berlin Wall to establish a footprint in the region. While Moscow, the Commission in Brussels and the EBRD in London have a long-established track record of activities and investments in the region, Beijing is only starting to focus on this part of the European continent in earnest since 2009. On a macro level, many of the Chinese-led infrastructure projects in the region can improve economic productivity in the medium term, e.g. by reducing transport costs within and across countries. But it remains an open question to what degree these new transport links in Skopje, Belgrade, Sarajevo and Banja Luka are financially viable medium- to long-term. Ports and energy pipelines appear easier to monetize than thermal power plants and road infrastructure or bridge building. If many of these projects are designed primarily to transport and distribute Chinese goods to different locations in Europe, then the one-way traffic along new trade routes will hardly be cost effective. These emerging international supply chains would undoubtedly benefit more if they are operated on the basis of two-way traffic. China’s engagement in south-eastern Europe is multi-layered. The region can be seen as a testing ground for China’s growing European ambitions, whether through the construction of roads, investments in ports, power grids or railways. As China implements its BRI along the Balkan Silk Road spill-over implications materialize over time in particular in terms of regional trade, links to China’s manufacturing sector and its commodity exporters. Tangible multiplier effects on job creation and growth for SMEs along the Balkan Silk Road can be expected to emerge over time. The potential for such benefits to take root will only increase if and when Chinese companies seek to involve a larger degree of local expertise and domestic firms, instead of providing (major) parts of the workforce and planning personnel from China proper. To enhance regional cooperation with Eastern and Central Europe, China promoted the creation of the so called “16+1 initiative”, which includes also most of the SEE countries. Which are its main goals and features? Officially launched by Chinese President Xi Jinping in 2013, the Belt and Road Initiative (BRI - previously also known as “One Belt One Road Initiative – OBOR”) is an extremely ambitious Chinese development strategy which aims to connect major Eurasian economies through infrastructure, trade and investment. The Beijing-led Belt and Road Initiative includes two main elements: the Silk Road Economic Belt and the 21st Century Maritime Silk Road. The Silk Road Economic Belt should be established through an overland network of road, rail and pipelines roughly following the old Silk Road trading route that will connect China’s east coast with Europe via a new Eurasian land bridge. The 21st Century Maritime Silk Road is a planned sea route with integrated port and coastal infrastructure projects running from China’s east coast to Europe, India, Africa and the Pacific through the South China Sea and the Indian Ocean. The geographic scope of the BRI, however, is fairly fluid and on some interpretations has also been extended to Australia and the UK. According to the global consultancy McKinsey, the plan has the potential to overshadow the US’ post-war Marshall reconstruction plan, involving about 65% of the world’s population, one-third of its GDP and helping to move about a quarter of all its goods and services. The evolving Sino-Southeast Europe relationship remains a work in progress. China’s initiatives offer lending, investments and enhanced trade cooperation in a region still characterized by major economic hurdles and political challenges. The engagement includes multiple players with different, at times conflicting agendas. The 16+1 cooperation format enables countries in Central, Eastern and Southeast Europe to conduct business with various Chinese lending institutions, state-owned enterprises, central and regional governments, private companies and diplomatic representations. Countries participating in the 16+1 framework see in China the opportunity to provide them with the financial assistance to build highways, expand harbours and modernize utility facilities. The crucial element for governments in Central, Eastern and Southeast Europe is how to take control of their emerging relationship with Chinese counterparties within this 16+1 arrangement? In my opinion, the presence of institutional anchors such as the EBRD, EU delegations, the IMF, the Regional Cooperation Council (RCC) in Sarajevo can assist them in navigating this complex relationship, e.g. in areas such as public procurement processes, compliance with environmental assessment standards and safeguarding financial transparency. Guaranteeing regulatory fair play and compliance with EU environmental standards in the construction and operation of thermal power plants financed by Chinese banks is an area where policy dialogue with international institutions will be key within the 16+1 framework. Greece is today a focus point of the Chinese investments and presence in SEE, especially after the the Piraeus port acquisition by the government-owned shipping and logistics giant COSCO (China Ocean Shipping Company). Which are the mid and long-term consequences of such important investments? Greece is the point of entry to the Balkan region for Chinese investments under the BRI. Apart from the initial maritime focus, Chinese investments in Greece have expanded to other sectors, most prominently tourism, retail and energy. In recent years, China has moved aggressively to invest in Greece. The details of this strategy offer an interesting lens through which to view China’s growing capabilities and ambitions in the Balkans and Central and Southeast Europe. The initial investment by COSCO in a container port terminal in 2009 represented a milestone marking Beijing’s expanding European ambitions, with major implications over time not only in Piraeus, but equally in neighbouring countries. From the outset COSCO Hellas, the firm's subsidiary in Greece, expressed interest in plans to buy a majority shareholding in the PPA. In August 2016 COSCO acquired 51 percent of PPA for the price of €280.5 million (US$ 312.51 million). The Greek privatization fund Hellenic Republic Asset Development Fund (HRADF, Greek acronym TAIPED) still holds 23.4 percent, and other investors 25.86 percent, of Piraeus Port Authority. The sales agreement stipulates that should Cosco fulfil certain investment conditions up to €300 million in the next five years, it will pay HRADF an additional €88 million and thereby increase its current stake by 16 percent to a total of 67 percent. The total purchase price would then reach €368.5 million for PPA. 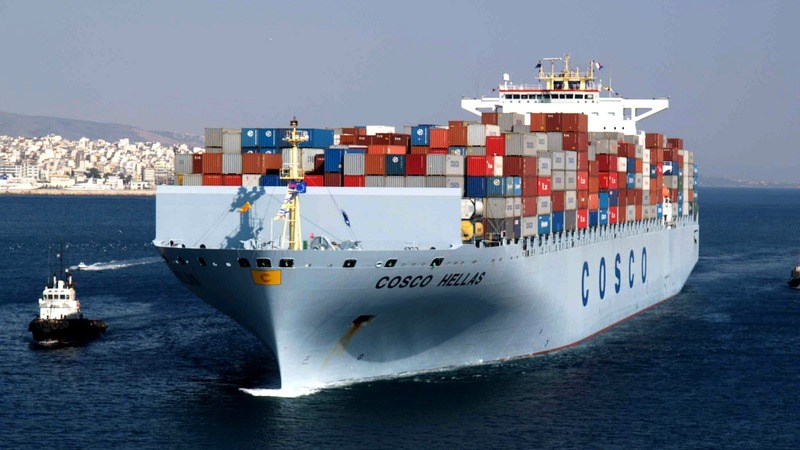 Following the purchase agreement, Hong Kong-based COSCO embarked on a multi-million investment project to turn the port of Piraeus into a major cruise hub and transhipment logistics centre for travel and trade between Asia and south-eastern Europe. This twofold investment initiative includes the establishment and expansion of logistics bases through COSCO’s subsidiary Piraeus Consolidation & Distribution Center (PCDC). In addition, the new focus on tourism reflects rising demand from Chinese travellers to Greece. As of Autumn 2017, Air China commenced direct flights between Beijing and Athens with onward embarkation for Chinese passengers at Piraeus Port onto cruise ships sailing the Aegean, the Adriatic coast and the Mediterranean. Similarly, COSCO Shipping signed an agreement with China Eastern Airlines in May 2017 for charter flights bringing Chinese tourist groups to Greece. In February 2017, the China Development Bank (CDB) CEO Hu Huaibang announced the lender’s intention to expand its presence in Greece, mainly via the financing of infrastructure projects in the energy sector. A memorandum of understanding (MoU) between Greece’s central bank and CDB had already been reached in July 2016. The MoU provides for the promotion of bilateral retail and investment banking. CEO Hu noted that CDB – one of the world’s biggest development lenders – had created special investment funds for the financing of enterprise development in several European countries. It should be borne in mind that the Chinese investment in Greece is not only the result of carefully executed economic diplomacy for which the groundwork was prepared years before in Piraeus. In December 2016 China's State Grid Corporation, the world's biggest utility, purchased a minority stake (24 percent) in Greece's power grid operator ADMIE. This constituted China's second major investment in Greece in the course of 2016, after the acquisition of PPA. The minority stake investment in Greece supplements equity funding by State Grid Corp. in Portugal (25 per cent shareholding in REN in 2012), Italy (35 percent shareholding in CDP Reti in 2017)and Spain (bidding for German utility E.ON’s northern Spanish grid). This equity funding creates a network or cluster of investments that enables State Grid Corp. to gradually establish a regional electricity grid portfolio in Europe. This development is all the more remarkable since it is China-led and contrasts with the low level of cross-border grid investments across the EU by European companies. The most recently available international trade data for Serbia illustrates that China was the country’s fourth largest trading partner in 2016, reaching a total of €1,469 billion. The trade balance is almost exclusively tilted in favour of China, which is Serbia’s second largest import originator, while it does not feature in the top ten positions as Serbia’s export destination. Seen from a Chinese perspective, the Serbian market is rather small and it is a land-locked country. But it is not size nor geography that matter. Connectivity is the underlying issue. Serbia is an attractive partner since it has trade agreements with the EU, Turkey and Russia. It also enjoys a level of political stability that is not a given in neighbouring countries. Equally, both countries have established a visa free regime effective since January 2017. The share of Chinese investment (Hong Kong included) in total FDI to Serbia was 3.1 percent in 2015 and rose to 9.2 percent in 2016. This considerable increase is primarily attributed to the acquisition of the steel mill Zelezara Smederevo by China’s He Steel Group for €46 million in 2016. It must also be underlined that a major source of lending by Chinese banks is carried out from Hong Kong, less so from mainland China. According to EBRD estimates, US$ 350 million in lending during 2015-16 arrived from Hong Kong to Serbia. Serbia’s importance to China’s BRI has repeatedly been emphasized by Chinese President Xi Jinping, most recently during his three-day state visit in June 2016. XI sees Serbia playing a leading role in the cooperation between China and the countries of Central and Eastern Europe. Seeking to back up such diplomatic statements, Beijing is in the process of becoming a major lender for infrastructure projects in Serbia. The focus rests on the transport sector, i.e. roads and railways, the steel industry and energy projects. In the Balkans, the “BRI” will meet and perhaps overlap with the presence of another long-term regional player, Russia. Can they cooperate in the area, or is antagonism inevitable? You said that “SEE is a testing ground for China's growing European ambitions”: is it still too early for a first assessment of the results and sustainability of Beijing's policies in the area? The arrival of Chinese investors, lenders and tourists in southeast Europe underscores a larger development in the region. Increasingly, southeast Europe is the focus of institutional and global actors who are establishing or expanding a sphere of influence in this region. Put otherwise, the region comprising Greece, the western Balkans and the Black Sea, some of which are EU and NATO members, others Candidate Countries is increasingly being crowded by countries such as Russia, Turkey, China and multi-lateral actors like the EU, EBRD, European Investment Bank, IMF, etc. So far, so good. But what if something goes wrong? What if a project fails? Could there be the threat of white elephants appearing in southeast Europe? These questions do not [yet] have any evidence on the ground in Greece, Serbia, the FYR Macedonia or Bosnia-Hercegovina. But there are various examples of such white elephants appearing in other countries on other continents. An airport in Sri Lanka built with Chinese loans or railroad infrastructure built and financed by China in African countries are testimony that not every project completed is sustainable over time. The delay in starting to build the high-speed railway line between Budapest and Belgrade is not only a reflection of financing challenges or the recent investigation into procurement practices of the Hungarian government vis-à-vis Chinese companies. It is also an illustration that some of these proposed new infrastructure projects (including in Bosnia-Hercegovina) have to be evaluated if they are really needed, technically feasible and to what degree the financing conditions risk to create new levels of dependency for individual countries. The other issue raising concerns among EU member states is the question, if China’s activities in central and southeast Europe leads to influence buying at the political level. More specifically, two recent events in Greece and Hungary, both EU members, suggest that this question has its merits. In June of this year Greece did not support a joint statement of all other 27 EU member states in the UN Human Rights Council in Geneva criticizing China’s human rights record. The position taken by Athens constituted a first-time breach among the decades-old EU unanimity. In my view, the political authorities in Athens are playing with fire here. There was little to gain from this decision in Geneva by Athens, but much to lose for Greece vis-à-vis its European peers. In the case of Hungary, the European Commission has opened a formal investigation into the procurement process of awarding contracts to Chinese companies bidding for the construction of the high-speed railway line between Budapest and Belgrade. This 2.4 billion euro infrastructure project – unique as regards its volume - has not been subject to EU procurement rules to which the Hungarian authorities are bound.